This year I participate in an international advent calender, which is the first time for me and so much fun! And I decided to share one of my favourite Christmas recipes. And of course, for the advent season, the cakes served are usually traditional Swedish Christmas cakes, like gingerbread, saffron buns and a gingerbread sponge cake that is very popular. The amount of recipes for gingerbread sponge cake is countless – but this is my favorite, and it’s been served in my family since my Mom started making it when she was a young girl it in the early 1940s. Preparations: Mix eggs with brown sugar and stir for a few minutes. Pour the melted butter and the sour cream in the egg mixture and stir. In another bowl, mix the wheat flour with baking soda and all the spices. Pour the flour mixture in the eggs and stir until it’s all blended. 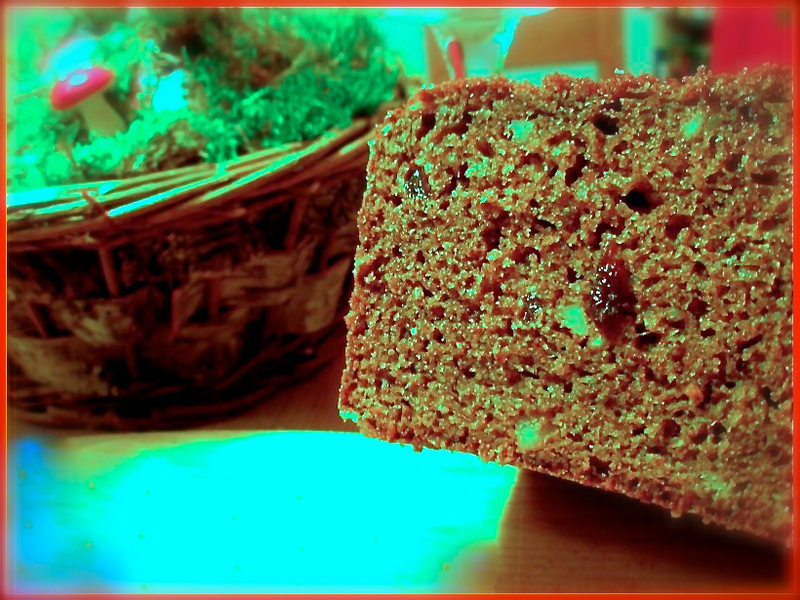 Add the lingonberry jam, raisins and almonds and pour the batteri nto a greased and floured baking pan of 2 litres. Bake the cake on the bottom shelf in 175° celsius (347° F). Let it cool a bit before you remove the pan. Serve with hot coffee or ice cold milk. Yummy!